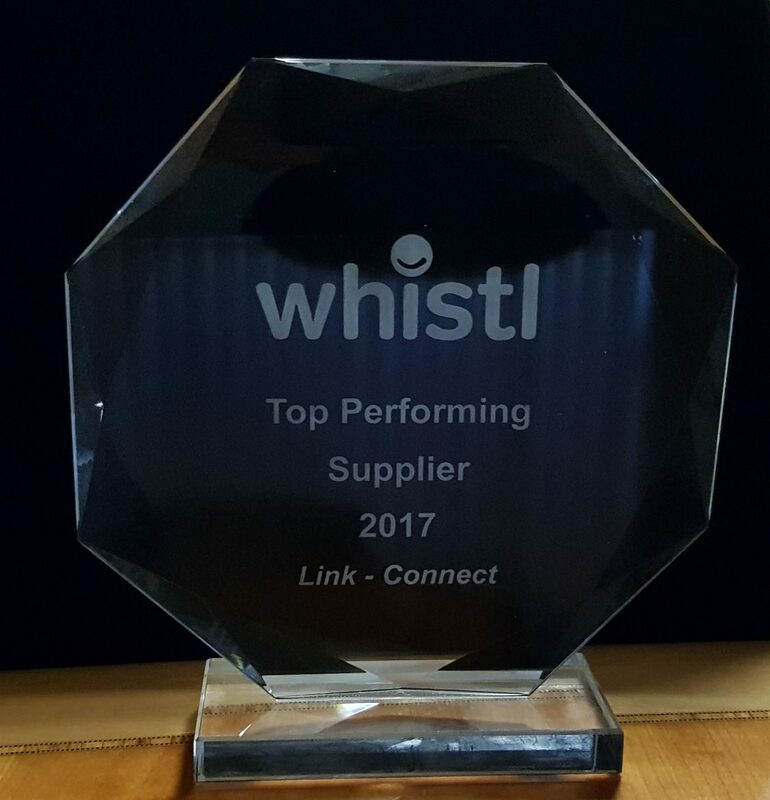 Link-Connect is delighted to announce that we scooped the prestigious ‘Top Performing Supplier 2017’ award at the annual Whistl Supplier Relationship Management meeting recently. This year Whistl has introduced an awards program to recognise suppliers who have stood out from the crowd. While Whistl has hundreds of suppliers, the awards focused on those who are critical to the company’s successful operation. Because we provide critical IT infrastructure that is key to their daily operations, we were one of 24 strategic partners that fit into this category. Link-Connect was recognised in top spot as the ‘Top Performing Supplier’ based on delivering a great service and meeting all SLAs.